BMW and Fossil Group just inked a deal to launch BMW smartwatches and watches, starting in 2019 - with the agreement in place until 2023. We don't know much else at this stage apart from the fact the smart and dumb watches and accessories will be sold in over 4,000 BMW centres and Fossil Group stores around the world. Fossil Group's stable of brands already includes Fossil, Diesel, Michael Kors, Skagen, Misfit, Marc Jacobs, Emporio Armani and more with BMW a nice fit on the luxury end. 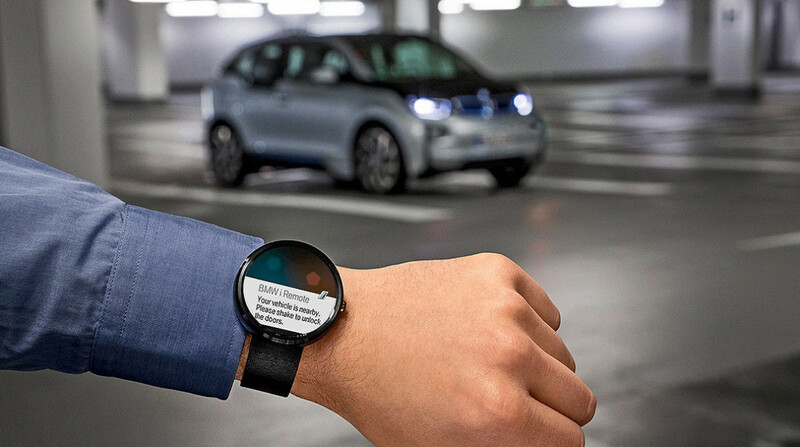 BMW itself has flirted with a number of smartwatches before, building remote apps for then Android Wear (as seen above on the original Moto 360), the Samsung Gear S2 and S3 and the Apple Watch. The latest Fossil Group watch, the Emporio Armani Connected 2018, is a good blueprint for what to expect - the BMW branded smartwatches could launch with the same feature set of Wear OS, Google Assistant voice controls, heart rate tracking, built-in GPS and Google Pay on board. A stylish, luxe design, fully round AMOLED screen, a range of finishes and straps and a high end price tag are pretty much a given too considering Fossil Group tends to stick to what it does best. It's also known for its custom micro-apps so here we can expect to see bespoke watch faces and BMW-centric remote functions and whatnot. As well as a 'proper' smartwatch or two, we also expect to see BMW hybrid watches with analogue watch faces, alerts, pusher functions and activity tracking as part of the collection. We'll keep you posted when we get more details on this partnership - we'd wager we'll here more at IFA at the end of August.Fossil also announced a similar deal with Puma recently; also with a 2019 launch planned.